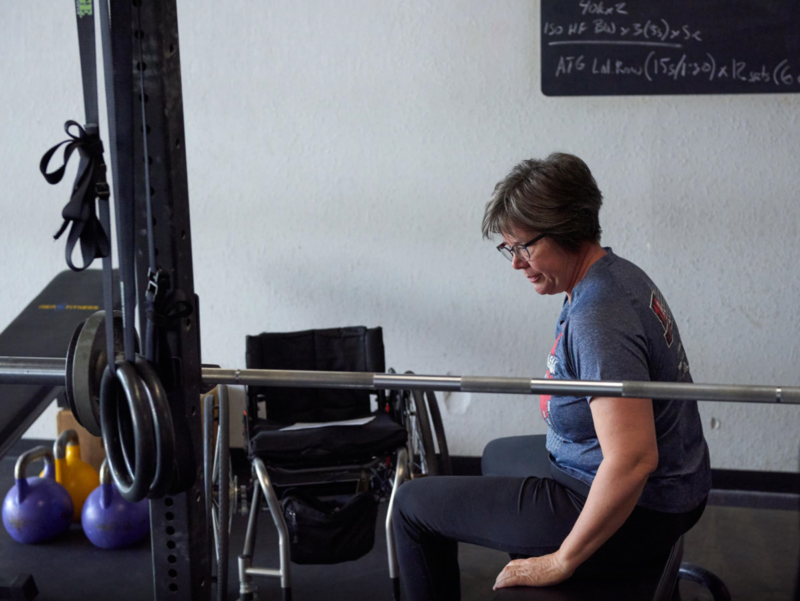 A photo essay by Dave Albo, sports photographer extraordinaire and fellow lifter at Barbell Strategy. It’s been a real pleasure training with Katja. Her positive attitude, great work ethic, and willingness to try things is contagious. She is one of those people who brings the energy of the workout up, making the Fun-o-meter needle rise up to 10. Thanks for this. Truly inspiriring. It is so easy to fall into the “can’t” hole. Recovering from an illness (other than MS) I stopped doing my little PT routine and felt weak and tired. I’ve gotten back on the horse and have started rebuilding the strength I lost. I’m moving to a new home this spring where I’ll have access to a local Y, and plan to start work with their adaptive trainer. Yup. Keep me posted on what the adaptive trainer recommends for you – I’m really interested.